A native of Utah, Dr. Daren C. Cole spent his growing up years in the Salt Lake City area. He attended the University of Utah where he received his undergraduate degree in Exercise Physiology; thereafter attending the University of Nevada Las Vegas, School of Dental Medicine earning the degree of Doctor of Dental Medicine. At graduation, Dr. Cole was the faculty nominated and distinguished recipient of one the highest honors given, the Excellence in Clinical Dentistry Award, for demonstrating superior clinical merit among his student peers. Dr. Cole is trained in and dedicated to the clinically proven and latest advancements in cosmetic, implant and restorative dentistry. He keeps up-to-date with the latest technologies, techniques and materials in dentistry, including the innovative use of digital radiography and intra-oral imaging. He is a graduate of the renowned White Cap Institute of Dental Implantology residency series, and serves as an evaluating dentist for the research and development division of Ultradent Products, Inc., a worldwide distributor of quality, affordable dental products. 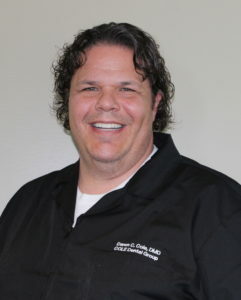 In addition to owning a private dental office in Salt Lake City, Utah, Dr. Cole is an appointed faculty member at the College of Dental Medicine at Roseman University in South Jordan, Utah. He is responsible to provide instruction, training, and supervision to dental residents and students at the South Jordan, Utah campus two days a week. Prior to his position at Roseman University, Dr. Cole supervised dental students under the rank of Adjunct Assistant Professor of the School of Dentistry at the University of North Carolina at Chapel Hill. Dr. Cole also holds an Adjunct Faculty and Pre-Dental Advisor position at Salt Lake Community College, in Salt Lake City, Utah. Dr. Cole is a longstanding member of the American Dental Association, Utah Dental Association, and the American Dental Education Association. Dr. Cole in alumni and a former officer of the nationally recognized Psi Omega Dental Fraternity. 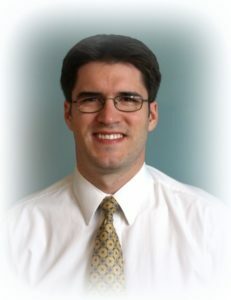 Dr. Cole enjoys spending his free time with his wife and children. He enjoys traveling, photography and relaxing to music. Dr. Cole is active in his church and community; he is also an avid skier and golfer, and enjoys most all outdoor activities. Dr. David Densley is a native of South Jordan, Utah. On returning from and LDS mission to Lubbock, Texas, he attended Brigham Young University, where he graduated with honors receiving a Bachelor’s degree in General Biology. Dr. Densley was chosen as one of ten Utah students to attend Creighton University School of Dentistry on a scholarship program where he graduated with honors receiving a Doctorate in Dental Surgery. After dental school, he was selected as one of ten dentists to attend a General Practice Residency at the University of Utah. Dr. Densley is excited to be part of the COLE Dental Group in providing excellent dental care to the people of Salt Lake City and surrounding communities. He agrees with Dr. Cole that providing prompt, quality dentistry in an honest and enjoyable manner is the right way to practice and expects to provide this level of service to his patients. Dr. Densley is currently an assistant professor teaching dentistry at Roseman University and is committed to continuing education and attends courses as often as time permits. He believes that life is a classroom and hopes to always maintain a love of learning. In his time away from the office, Dr. Densley enjoys spending time with his family and exploring the outdoors. He plays guitar and harmonica, and occasionally draws. Some of his past work experience has included landscaping, cabinetry, teaching, tinkering with cars, and even tying balloon animals.